Does your family have a secret language? Superb Fairy-wrens teach their embryonic chicks a secret code. This "incubation call" contains a special note that will later serve as a password. When the chicks have hatched, this password enables the adult birds to identify their babies in the darkness of their domed nest. A species of Australian cuckoo lays its eggs in the wren’s nest, hoping to pawn off the task of parenting. But wren chicks learn their mother’s song and incorporate the password note into their begging calls. It turns out some birds sing to their unhatched chicks. And for a good reason, too. By singing, Superb Fairy-wrens in Australia teach their embryonic chicks a secret code. “This ‘incubation call’ contains a special note that acts like a familial password.” 1/ Later, in the darkness of their domed nest, this password enables the adult birds to tell who is and who is not their baby. 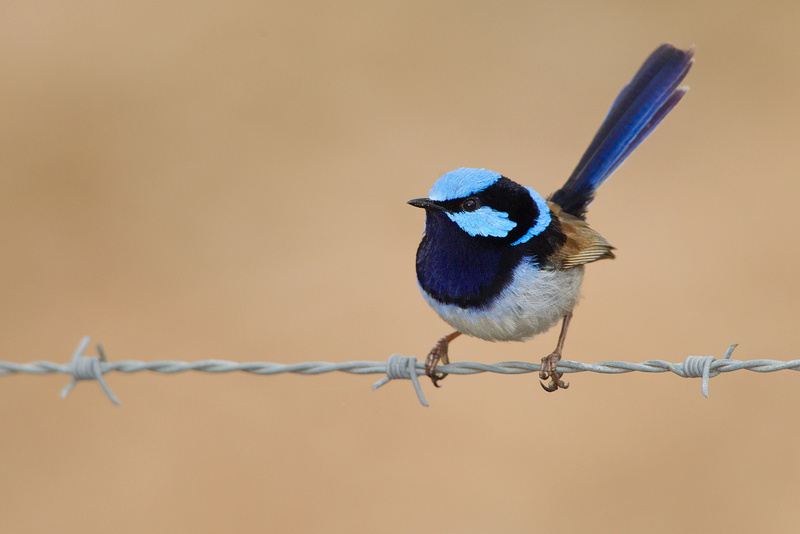 Like Superb Fairy-wrens, does your family have a secret language? Linda Macaulay recorded this pair of Superb Fairy-wrens in New South Wales, Australia. For BirdNote, I’m Mary McCann. Bird sounds provided by The Macaulay Library of Natural Sounds at the Cornell Lab of Ornithology, Ithaca, New York. Songs and alarm calls of Superb Fairy-wren  recorded by L. Macaulay.